Studying for the Iowa MPJE or know someone who is? 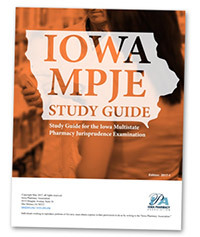 Download IPA's Iowa MPJE Study Guide - updated for 2019! © 2018 Iowa Pharmacy Association. All Rights Reserved.